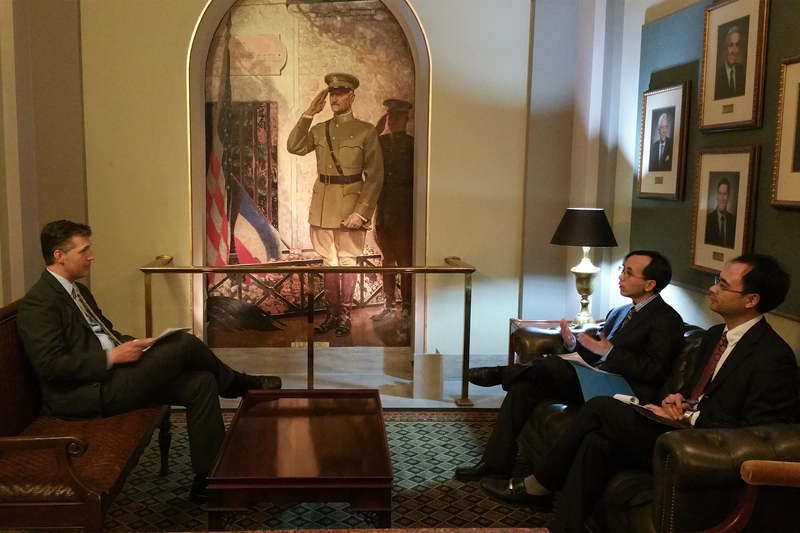 From January 28 to 30, Deputy Consul General Mr. Liu Jun met respectively with Mr. John Diehl, Speaker of the House, Mr. Tom Dempsey, President Pro Tempore of the Senate, Mr. Jacob Hummel, Minority Leader of the House and Mr. Davis Willis, Chief of Staff of Majority Leader of the House, during his visit to the State Capitol Building in Jefferson City, Missouri. 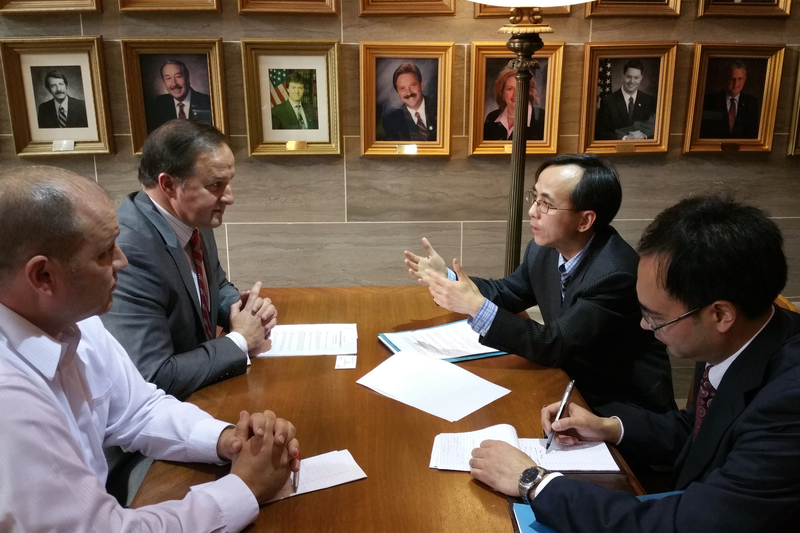 The two sides exchanged views on how to promote friendly cooperation between China and the State of Missouri. 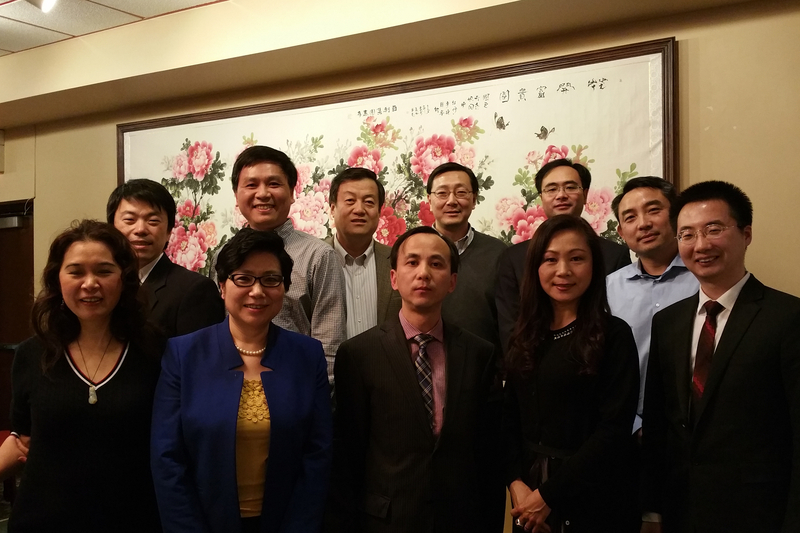 In St. Louis, Deputy Consul General Liu had a discussion with representatives of the local Chinese Community and visited St. Louis Modern Chinese School.